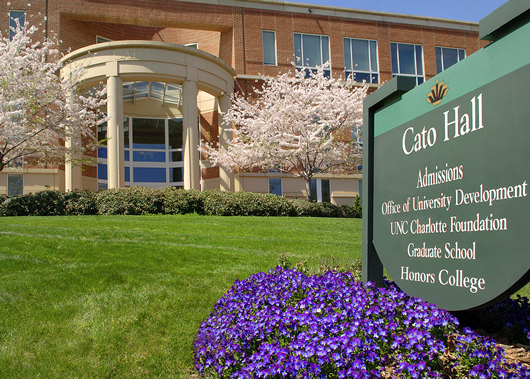 As home to Admissions and Administration, Cato Hall is centrally located on UNC Charlotte’s 1000-acre urban campus. 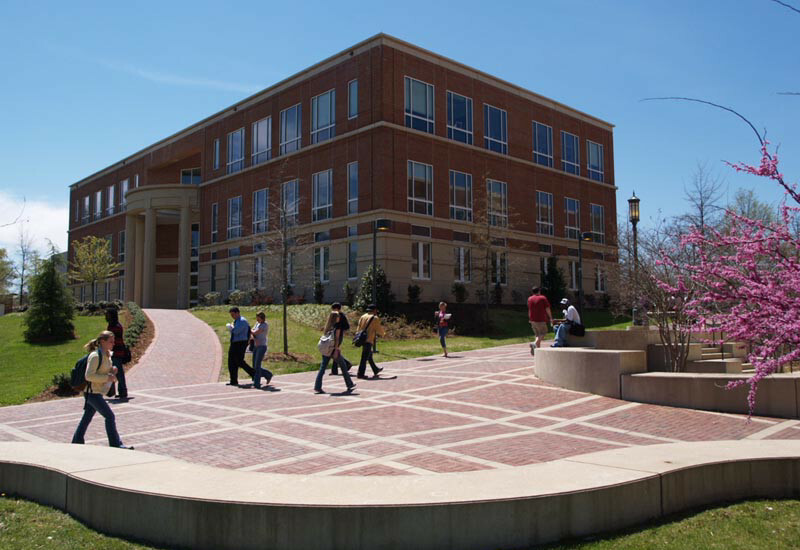 The three-story building is designed to reflect the transitional style of the Main campus core, featuring a red brick exterior with cast stone accents. 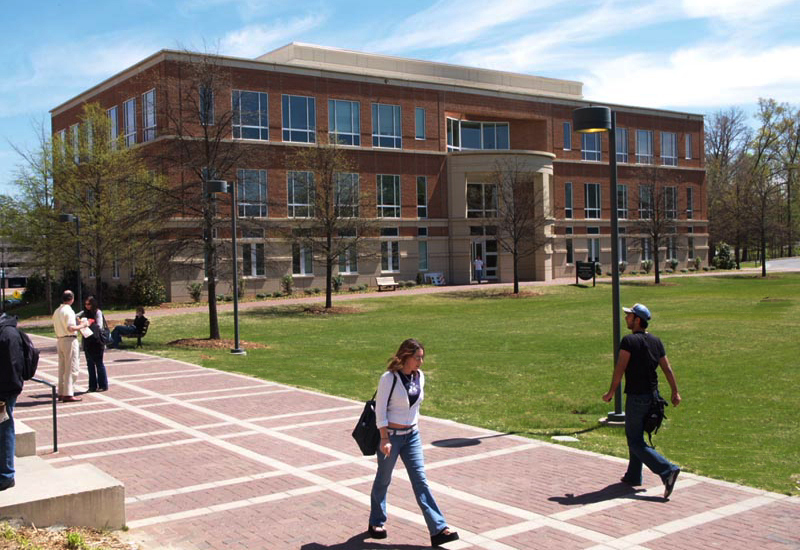 This 31,440 facility houses the offices of the Chancellor, University Admissions, Development, and the Graduate School, as well as the Departments of Communications and Social Work.